Outlandos d'Amour is the debut album by The Police, released in 1978. The album, while at times incorporating reggae, pop, and other elements of what would eventually become the definitive sound of the band, is dominated by punk influences. It starts off with "Next To You", a punk number with a slide guitar solo in the middle. The reggae-tinged "So Lonely" follows. "Roxanne", about a prostitute, was written by Sting after visiting a red-light district in Paris and is one of The Police's best-known songs. It is followed by "Hole in My Life", another reggae-tinged song, and "Peanuts", a Sting–Stewart Copeland collaboration which blends punk aggression with a decidedly humorous tone. "Can't Stand Losing You" and the high-tempo "Truth Hits Everybody" begin side two of the original LP. "Be My Girl—Sally" is a medley of a half-finished song by Sting and an Andy Summers poem about a blowup doll. 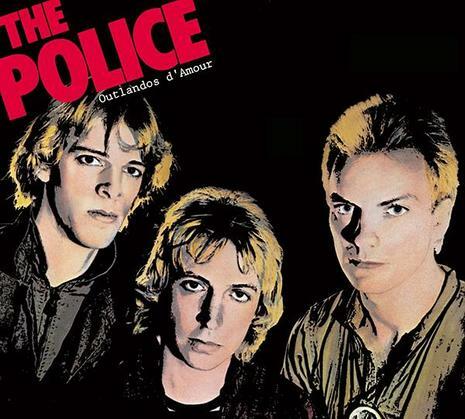 This leads into the semi-instrumental closer, "Masoko Tanga", the only song on the album to not become a staple of the Police's live performances. Two other songs from these sessions were released as b-sides: "Dead End Job" credited to the entire band on the flip of "Can't Stand Losing You," and "No Time This Time" by Sting on the back of "So Lonely," a different version re-recorded and later issued on Reggatta de Blanc.